I spent this weekend catching up on a lot of DVD's and reviewing them for our site. Check it out! 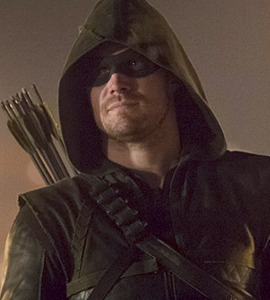 This week's Primetime Schedule and News Page is here! Next week's is here...I'll be finishing that up later today. I watched the new show "UnReal" on Lifetime (they sent me 3 episodes to watch) and also interviewed one of the stars, Josh Kelly. Great show, especially if you like soaps or reality show. It's very well-written and has great characters. It was great to have "This Week with John Oliver" back! Next week are the Tony Awards! That should be great. I always love that show. I didn't get a chance to send out my soap scoops newsletters this week for "General Hospital," "The Bold & The Beautiful" and "The Young and the Restless." Sorry! 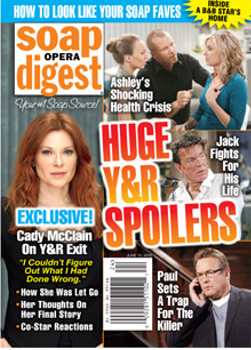 Sometimes I don't get to it in time.... but we always have lots of good news and spoilers on our site for each soap as well as links to other news and scoops pages, too. I've been seeing lots of discussion on Twitter and Facebook today about Bruce Jenner, who now goes by Caitlyn (because of her upcoming Vanity Fair magazine cover). I don't think anyone would have necessarily picked him/her as the spokesperson for the transgender, but the openness about her life has certainly sparked a lot of great debate. It's very sad how many people are still bigoted against anyone who's LGBT. They probably don't even realize that people they know or are related to are LGBT because why would you want to tell someone who's prejudiced? LGBT people just want to live their lives like the rest of us and be left the heck alone . Jenner is an attention-seeker, of course, or else she wouldn't be on a reality show. However, that doesn't really give people the right to discriminate against her, or what she says about her personal life. Speaking of Facebook, we have such a great Facebook group, Talkin' TV, with lots of news and discussion about TV. I hope you can join. It's a nice and peaceful group. We don't tolerate any fighting, or any bashing of actors. Spoilers are only allowed if spoiler space and warnings are posted. No spam, or spoilers without space, are tolerated and are deleted/blocked. Also, the guys who regularly post news there are told not to post more than 3 news items per day, so we don't get overwhelmed. That can be a problem sometimes in Facebook. 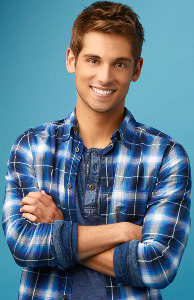 This morning I was on a conference call interview with Jean-Luc Bilodeau, who stars in "Baby Daddy" on ABC Family. 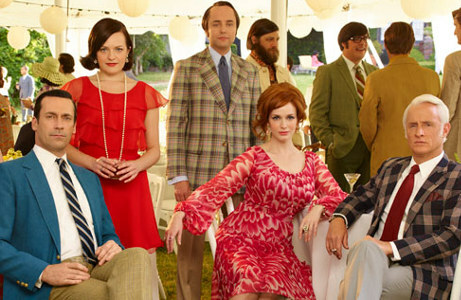 Hard to believe that show has been on so long; seems like it just started. I know the actors do a great job, and it's a pretty funny show. I remember when he was on "Kyle XY." I loved that show. He's still only 25, so he must have been really young then. He was very personable on the phone, and very kind. "Devious Maids" came back tonight, too. That's another one I'm about a season behind on. 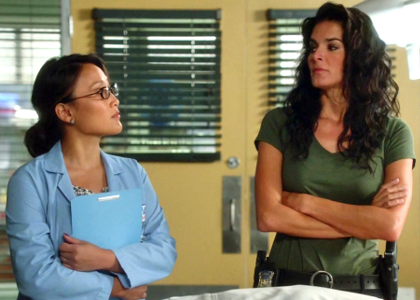 Right now I'm still trying to finish watching the episodes of "Rizzoli & Isles" from the season 5 DVD. I was going to watch the episodes, anyway, but then they sent me the DVD to review. Sweet! Speaking of "Rizzoli & Isles," today I was privileged to interview Tina Huang, who plays Susie, one-on-one via the phone. She's a very smart and interesting lady who really loves her job. Well, acting is a hard life (jobs are hard to get and keep), so you really do have to love it to do it. She's also on "General Hospital" sometimes, but she hasn't been on for awhile. I'm still very behind on GH, of course, but I guess they've brought back the actress who plays Ava, but posing as a different character. I guess she's saying that she's a relative of some sort. One of those "only on a soap" kind of things that happens far too often. The problem was that they wrote Ava badly from the beginning. They made her into a murderer right away, and it just got worse and worse, so fans wouldn't want her around without going to jail again or dying, so they killed her off. The actress is great, though, so they brought her back. I watched last night's "The Whispers" on ABC. 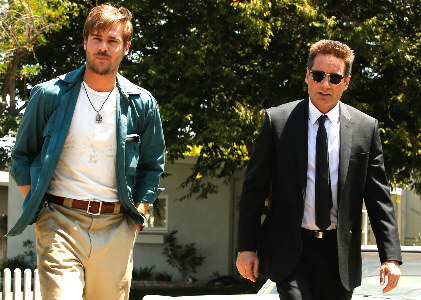 Great story so far and wonderful actors. I hope it does well! I'm still watching "The Bold & The Beautiful." It's been on fire since they made Maya transgender. It moves along pretty quickly, and there's plenty of drama, and some great funny lines as well. I hope it stays that way. What really makes the story work so much is that they stay true to the characters. Rick and Maya are sometimes jerks. They're not perfect. Same with Ridge and the others. Tonight I'll be watching last night's "Younger" season finale and the return of "Royal Pains" on USA Network! Yay!! I was suggesting good TV shows to my brother. He doesn't have a TV and watches everything online. Also, he lives in Turkey now. Even before that, he was only watching online. I sent him the first two seasons of "Person of Interest" and he loved it. It took me a good while to come up with the list of good shows. My problem is that I like everything too much. Below is the list I sent him. It has older shows as well as current ones because I don't know which shows he's already watched, aside from "Buffy the Vampire Slayer" and "Angel. " CBS has a magazine called "Watch!" that comes out every few months. It's kind of a style and glamour type of magazines that has photos of their various actors on CBS, Showtime and The CW. Almost like an airplane magazine. 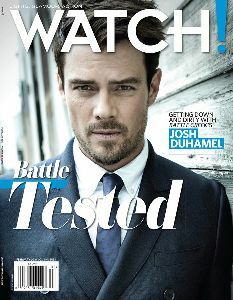 The one I got this week features Josh Duhamel and talks about his CBS show "Battle Creek." At first I thought it was poor planning, but then I realized it's the February issue. I got it late because I didn't change my address with them after moving last year. Oops! We really need some new volunteers to write "Young & The Restless" updates on certain days. Please email me if you can help out! Speaking of Y&R, we have some new fan fiction by Willy. Check it out! Last night I had another great dream about "General Hospital" characters! So fun. 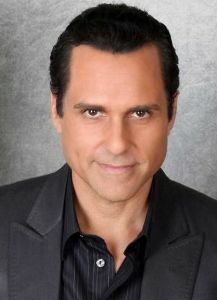 It's always fun to dream about my fave, Maurice Benard. I watched 3 episodes of the new scifi show "Sense8" on Netflix for review. At first it was pretty confusing, and kind of slow, but it got better after that and really grabbed me. I can't wait to see the rest! It was created by the Wachowski Brothers, who did "The Matrix" movies, and J. Michael Straczynski, who did "Babylon 5." Brian J. Smith, who played Scott in "Stargate Universe," is one of the stars, as well as movie star Darryl Hannah, and Naveen Andrews of "Lost." It's got a pretty big cast, though. Transgenders have really been in the media a lot now. 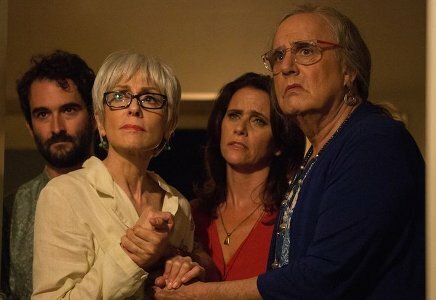 First there was the Amazon Prime series "Transparent" starring Jeffrey Tambor. Then Bruce Jenner did the 20/20 interview and became Caitlyn. Then "The Bold & The Beautiful" not only let us know that Maya is transgender, but introduced us to her transgender friend Rick (played by an actual transgender). 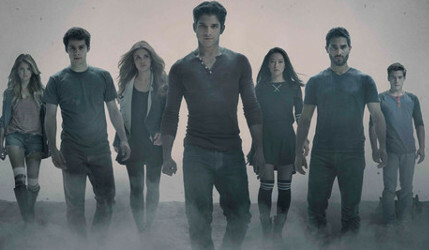 And then the new ABC Family show "Becoming Us" started. Now "Sense8" has some transgender characters. Wow, pretty cool. Yesterday I watched another new show, "Dark Matter" that will air soon on Syfy. This is a really good, fun scifi show. It reminds me of shows like "Stargate SG-1," which makes sense since it was done by the same people. It's very interesting, though. These 6 people wake up from stasis on a ship, and none of them remembers who they are or why they're there. There are a few recognizable faces in it. Check out my review. We update our "What's New" page constantly so you can see what we just put up on our site! Here's the email I sent my brother with the list of recommended shows (tailored a bit to his tastes). I knew he'd seen and loved the Buffy/Angel shows but wasn't sure what else he'd seen. 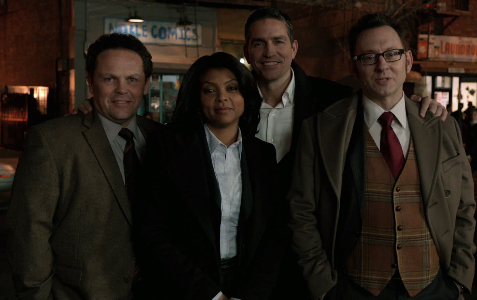 I figured you might like "Person of Interest".... it reminds me of Batman in a lot of ways. Here are other shows I recommend if you're interested (in order of how much I like them). 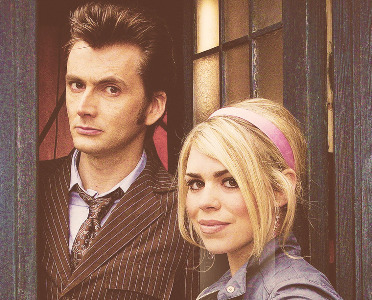 I hope you get to watch the rest of "Doctor Who," especially 2005-2010 when it was best. Also, its spin-off, "Torchwood," is great. 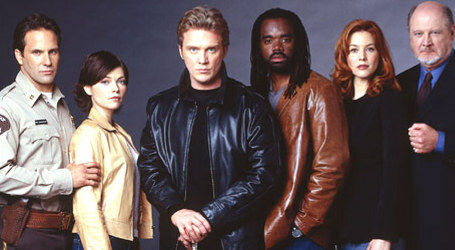 "The Practice" (97-2004 - great legal show) "Boston Legal" was a sort of sequel to it, but much more extreme farcical show. 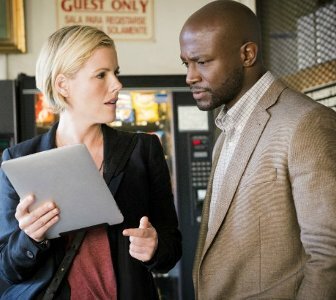 I think you already have seen "Veronica Mars," right? If not, then I really recommend that one. 2004-2007 plus one movie. I'm also assuming you've already seen "Firefly", which is another Joss Whedon show like Buffy and Angel. I also liked "Dollhouse", another Whedon show, which only lasted one season. There are some other shows that are good but for me, too gross or have too much torture, like "24," "American Horror Story," "Helix" and "The Strain." 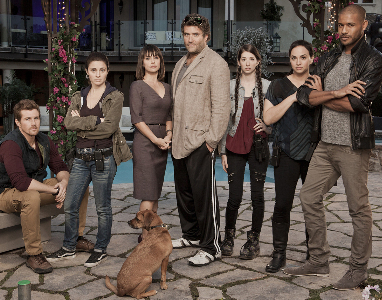 I don't like shows where everyone's a killer, like "Sons of Anarchy," no matter how good the writing and acting are. Or where the cops are corrupt like "The Shield" and "Chicago PD." I don't like most modern comedies, so that's why there aren't too many listed. I think the last one I really liked besides what's listed here was "Frasier" and/or "Seinfeld." There's been a few I liked ok but not that much. We watch "Family Guy," but it's not as funny as it used to be, and it's always been very uneven." 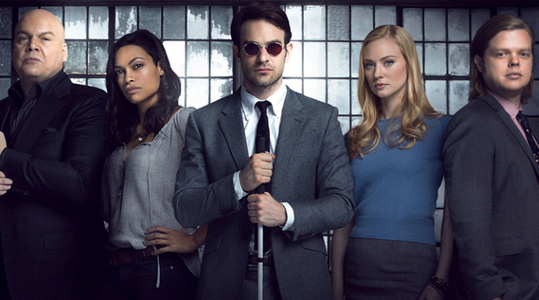 What TV shows would you recommend to your friends who are looking for something new to watch?